When the Buccaneers acquired Brent Grimes from the Miami Dolphins, I think a lot of people had high expectations for the 31-year-old cornerback. After a frustrating start to his tenure here in Tampa, it seems like Grimes is starting to settle in and be the DB we were hoping for. After the initial 14 points scored by San Francisco, the defense buckled down and only allowed an additional three points for the remainder of the game. The drive that ended on the field goal was the only one out of eight drives that even lasted more than six plays. Two out of the eight passes defended on Sunday belonged to Grimes, which now places him in a tie for 4th place in that category, he’s only two behind the league leader even though he’s played one less game than each person ahead of him on the list. He already has multiple defended passes in four out of the six games played this season, including the last three games in a row. This is the kind of disruption that the Bucs defense has been lacking for years. The last Bucs player to break up two or more passes in three straight games was Brian Kelly back in 2004. Grimes is just the 5th Bucs player since 1994 to achieve this streak, aside from Grimes and Kelly, that list also contains Donnie Abraham, Charles Dimry, and Ronde Barber. Not bad company for Grimes to keep. Brent Grimes in the NBA? It almost happened! 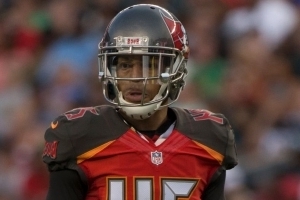 Brent Grimes addition is one of the best off season moves.